Your home is your sanctuary, and also a place of comfort and safety for you and your family. 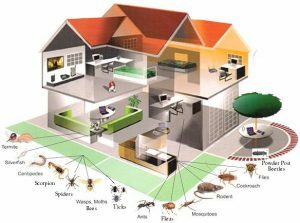 Invading insects and rodents can compromise that sanctuary and leave you feeling anxious and irritated in your own home. Aside from this being a pain, pests carry germs and disease that can threaten the health of everybody under your roof. They can also bite and leave you itchy and irritated. Aside from infection your family, pests can damage the structure of your home, requiring expensive repairs. Insects and rodents will contaminate your food if they come into contact with it, causing you even more frustration and expense. You may even be too embarrassed to invite friends and guests into your home for fear of what they’ll think when they see one of your unwanted occupants. Tap Out Pest Control is here to make all of that go away. Don’t spend another minute stressing about how uncomfortable you are in your own home when you contact us for any of our pest control services. It’s your house, and you deserve to live in it without an infestation casting a shadow over what should be a safe and comfortable place. Whether you’re in need of rodent control or bed bug treatment, we provide it all! We proudly serve all of Jersey City and the surrounding areas, including all of Bergen County, we provide home pest control services to wipe out any insect or rodent infestation, and return your home to a state of happiness and relaxation. To make sure such invasions never even happen in the first place, we can come treat your New Jersey home on a regular basis. Taking this proactive approach means never even giving pests an opportunity to move in. Whatever your needs are, Tap Out Pest Control has you covered in our range of pest control services. Call us today for a free estimate and take back control of your home!